Signs Visual prints custom foamboard signage and foamboard graphics in New York City. Our foamboard graphics can be printed on 1/4", 1/2", 3/4" or 1 inch thick material. The prints are also laminated in either matte or glossy finishes. Foamboard signage is great for temporary displays, event graphics, directional signs, easel signs, and more! 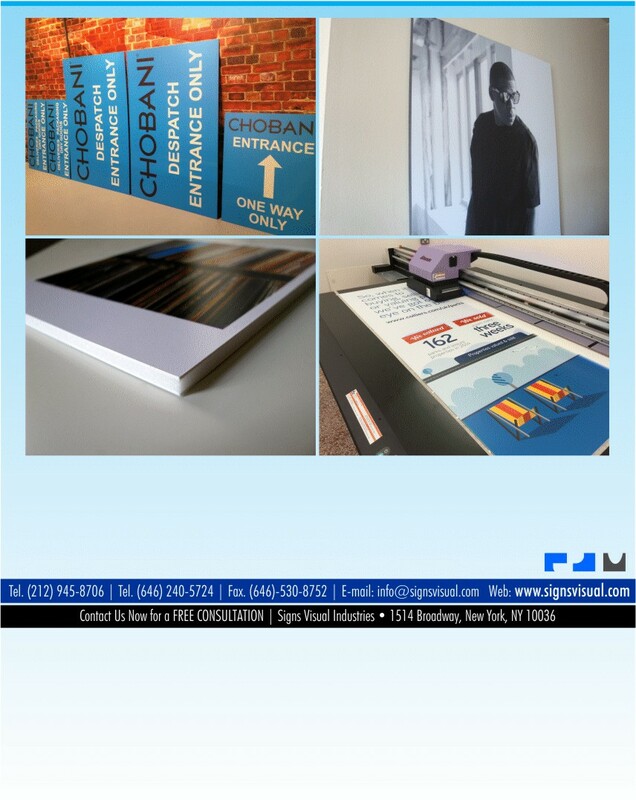 Contact us today for a free quote on your next foamboard sign order in New York!